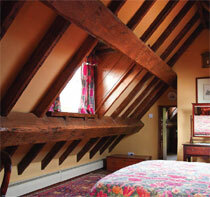 Oak and pine timbers have, quite literally been the backbone of British buildings for hundreds of years and to enable this tradition to continue we stock a fantastic range of oak and pine beams, salvaged from barns and other historic buildings. 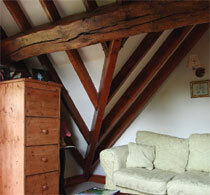 In some circumstances reclaimed beams are unsuitable or unavailable, especially where very long lengths are required. In response to this CAWARDEN stocks a large range of air dried oak timbers in standard sizes which are ideal for most cosmetic and structural requirements. 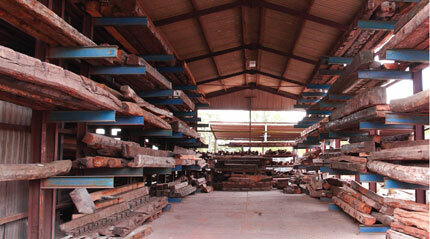 Beams, Rafters, Trusses, Joists, Purlins, Wall and Sole Plates can be supplied from stock. 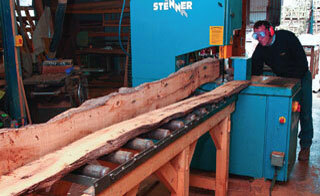 We have on site our own Re-saw Machine capable of cutting both reclaimed and Seasoned Beams up to 300mm wide. CAWARDEN also has a large Specialist Joinery Shop capable of producing customised profiles and shapes to order. Reclaimed: Full of charm and extremely hard-wearing, these are ideally suited to hardlandscaping projects such as retaining walls, shed bases, driveway edging and raised flower beds. New Oak Hardwood: Manufactured from fresh sawn timber, these sleepers are ideally suited to both hard landscaping projects and garden features.